If you've ever dined at a Middle Eastern, Greek, Mediterranean, or continental cuisine restaurant, you may have found that your order for a breaded chicken cutlet, kebab, or other meat arrived with a tangy sauce. If it was creamy, garlicky, tangy and had bits of cucumber and a healthy dose of fresh dill then you've encountered a version of tzatziki sauce. Otherwise known as yogurt sauce. In a small mixing bowl, combine yogurt, lemon juice, garlic, and salt. Mix well. If not using immediately, cover and refrigerate for up to 5 days. Although tzatziki is a Greek sauce, the basics of it can be found in other cultures. In Indian cuisine, the yogurt sauce is called raita and may contain cucumbers, red onion, cilantro, and spices like ground coriander and ground cumin. 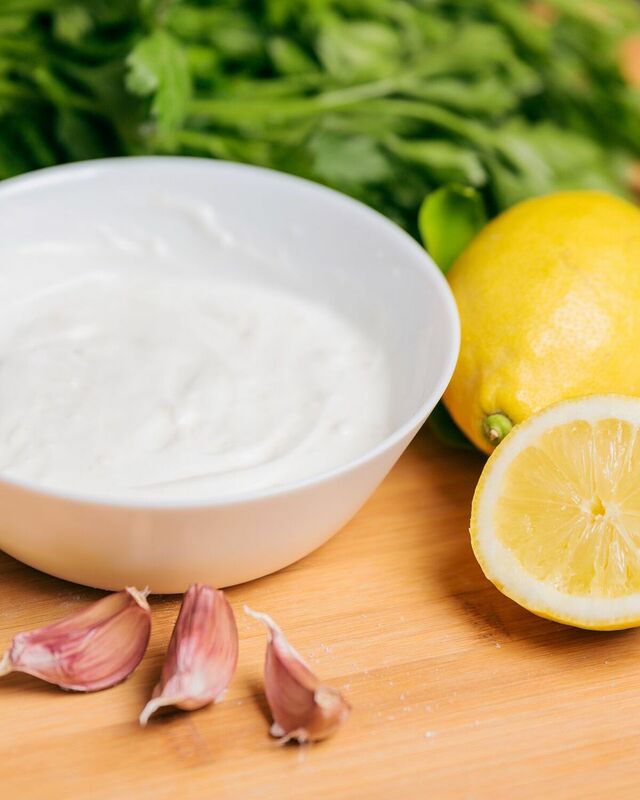 Turkish cuisine features a yogurt dip called haydari which is served thick and flavored with herbs, garlic, and olive oil. There's also a yogurt sauce called cacik which differs from haydari in that it's thinner and does not contain cucumbers. And variations of all these sauces can be found all over the Balkans and, of course, the Middle East. So, what do all these sauces have in common? Obviously, they are all yogurt based and include garlic. And, there's usually an acid which is most often fresh lemon juice. But, building on that foundation, you can make an endless amount of variations to suit your own tastes. And, as is typical of Middle Eastern cuisine, every region, town or even home has it's own spin on it. If you like an extra thick yogurt sauce, one that will hold up well to being used as a dip, try using plain Greek-style yogurt. You can even strain it a bit through a piece of cheesecloth to thicken it even more (sort of a variation on labneh). Although you can make these sauces using low fat and even fat-free yogurt, the taste will suffer and you won't be reminded of the delicious creaminess you had in a restaurant. Low-fat yogurt is fine as a snack with fruit but the flavor of the sauce is dramatically altered with anything but full-fat dairy. Next up is the addition of garlic. Instead of mincing it, try grating it on a microplane for a more delicate flavor. How much garlic is up to your personal taste. Lemon juice is a must, again, to taste. You can choose to skip the cucumber from time to time but please don't skimp on the fresh herbs, especially dill. Serve your favorite version of the sauce on shawarma, kebabs, vegetables, sandwiches and even as a dip for French fries.